Susie would be excellent at anything she set her mind to...that’s just who she is. She gives everything she does 150%, including her clients. I’m just glad she chose personal training and nutrition as her passion and life’s work! From a training perspective, she makes you feel at ease right away through genuine empathy and compassion. Her technique is that of the anti-bully. She does not try to shame you into working harder or eating better. She encourages and supports you on your journey. At the same time, Susie is no push over. She will require a lot of hard work out of you and you will be sore after the first session and after the 50th. If she does not feel like she can help you (because you are not yet committed to the work of getting healthier), she will tell you. No need to waste her time or yours. My body has been transformed since I started training with Susie. I went from bulky muscles under fat to a longer, leaner look. I literally feel taller – and at 5’ 1”, that’s a good feeling. I’m smaller and healthier than I have been in years and I have maintained for at least a year now. Training with Susie twice a week, I find I make better diet decisions and am inspired to exercise on my own on our days off. 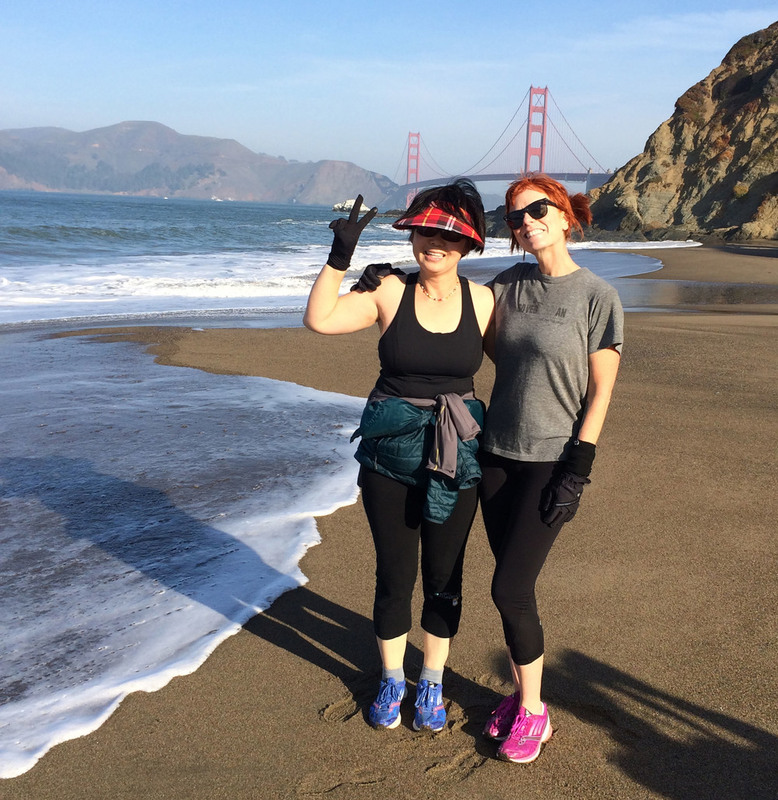 Before I started training with Susie nearly four years ago, I suffered from chronic pain and fatigue. I own a very busy restaurant and was not taking care of myself, working seven days a week from open to close and suffering the consequences. My legs, back and shoulders were in bad shape. However, because of Susie’s great training, I have become stronger and healthier than I have been in decades. Susie even got me back into running which I had not done in so long because I didn’t feel like I could. Now I am now an enthusiastic runner, competing in several of San Francisco’s famous races and making great time too! Though I am 62 years old, everyone says I don’t look a day over 50! I thank Susie for this. She pushed me to be my best and has become a dear friend along the way. I am so grateful and happy to say that I feel young, healthy and happy now and no longer suffer from any pain.